How long does cooked tofu last? How to store cooked tofu the right way? How to know if tofu is bad? What is the best recipe that last longer when refrigerated? Tofu is solid white blocks of condensed soya milk. Just to give an idea, unopened raw tofu lasts for about 4 days after its selling date and an average of 2-3 days when opened. So, how about the cooked tofu? How long does it last? Cooked food last longer than raw ones. Hence, I recommend to cook your tofu slightly (brown it), drain the liquids out of it, and store in an appropriate container. It will extend the shelf life into another 4-5 days. Although others testify that it last longer up to a week, I rather stick to my 4-5 days to be at the safe side. I don’t like to gamble when it comes to health. 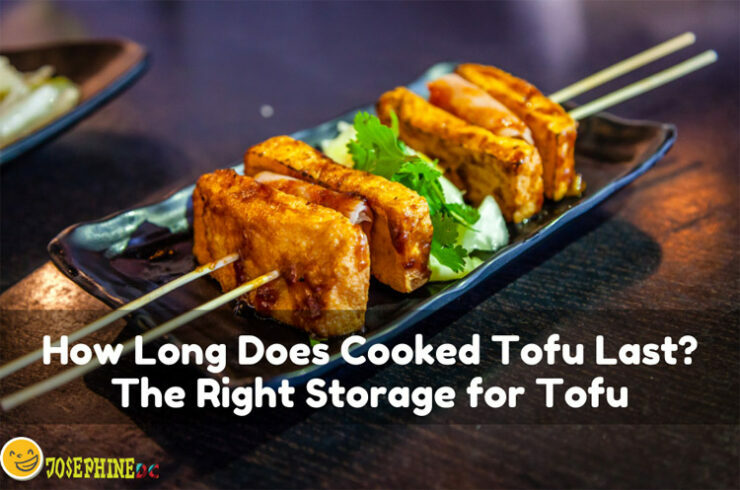 How long cooked tofu last really depends on how you store it. Taking note of a tofu’s shelf life is essential. I often store leftover tofu especially when I cook recipes that only need a small amount for an ingredient. When this happens, I find ways to keep them and save for later. Storing tofu depends on how long you want to keep them. You can choose to store either in a fridge or in the freezer. 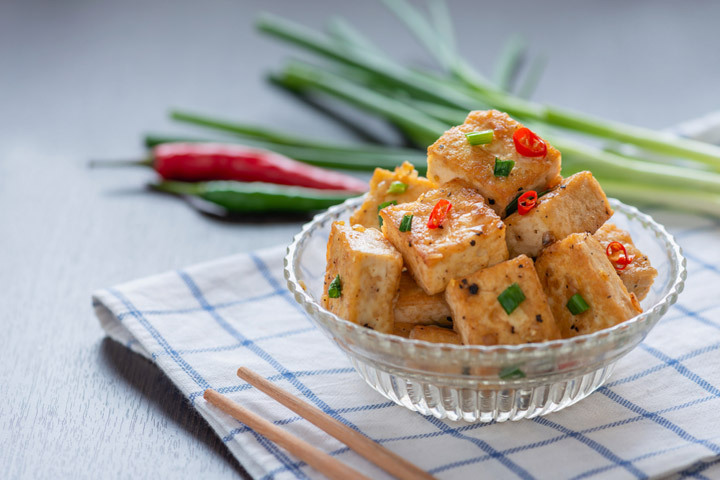 If you plan to use or eat your cooked tofu in a few days, the best storage place is in the fridge. Cooked tofu will last for 4-5 days in the fridge. Just make sure to place it in a covered container and separate the sauce if there is. 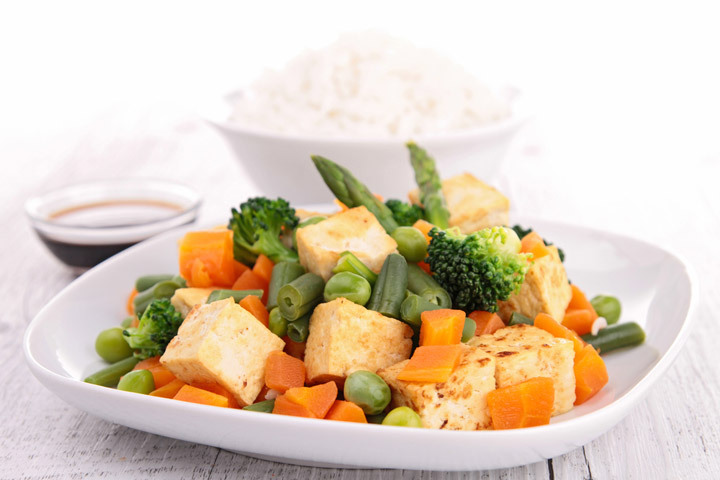 If you store cooked tofu with its sauce in it, it will no longer be crispy after. 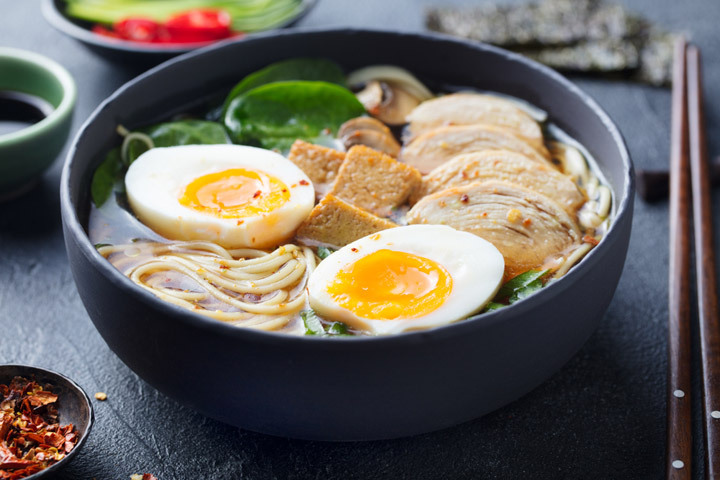 Although refrigerated cooked tofu lasts longer than not, it is not an assurance that it will look the same way after heating. What do I do to give it a fresh look and taste? I fry or toast them. Fried tofu can go well with almost any stir-fry recipes. Add it up to another recipe, or simply heat it up. It never fails! Certain tofu recipes that can be stored in a freezer like soup. However, freezing makes tofu’s color and texture change. Ice crystals form in tofu when frozen. The taste will also be a little bit different. If you have not tried it yet, I recommend experimenting by freezing a small batch of tofu first, then finding out how it taste like. If it’s good enough for you, go ahead with the method. However, many like their frozen tofu. I’m sure you’ll like it as well. Use a container with a cover to prevent air from entering. Store them separately in small batches. At least, it’s easy when you only need to eat a small portion of it. Opening the container will allow air to enter. Air will hasten the spoilage of the food. You can only store it once. Refrigerated food deteriorates faster when exposed to air and heat. I recommend consuming all of it after storing. Thoroughly inspect your tofu before eating. If not properly stored, food can spoil quicker than expected. Let the dish cool down first before placing it in a container. Refrigerate it right away. Read more : How to Reheat Lasagna in 3 Simple Ways? Safety is the reason why we need to stick to the 4-5 days storing period. Therefore, issues like grace period after expiry dates are not tolerable for me. As best as I could, I try to inspect the food before I throw it away. At least, it lessens the amount of waste. However, on the other hand, paying attention to expiry dates is a good way. So, how do I know if tofu is bad? Tofu or not, the first judge, if the food is already bad, is its smell. I know that for some, tofu has that weird bad smell. However, the distinctive odor of a foul smell (strong sour smell) of rotting food is familiar. Can you tell? Rotting tofu can look curdled, flimsy and watery. Worse is, when you can see molds growing on them. Definitely, it is already spoiled tofu. I really hope that you will trust your nose and your eyes when it comes to this. Tasting it is the last resort for me. Do you know what rotten tofu taste like? Well, absolutely it will be sour, bitter and weird! Tofu soups, pasta, and other recipes can be stored in the fridge. However, do you know the best recipe that lasts longer when stored? Fried tofu, of course! In fact, frying is an excellent way to advance prep the tofu for a good recipe. It would last for days in the fridge, mixes well with any recipe and no draining needed. Do you know that there is fried tofu in the supermarkets? Although I prefer to make one myself, it’s just an example that the frying method goes will with storing tofu. See also: How long does Pasta Last in the Fridge? As you continue to prepare food for your family, mastering food storage will come in naturally. I have been doing it for 20 years, but I admit there’s a lot more to learn. Now that you know how long cooked tofu lasts, I’m sure you will also have an idea on other food closely related to tofu. Just remember that following the right way of storing tofu is essential to make it last longer. Do you have any suggestions on how to make it last longer? If you do, drop a comment and let’s talk about it!